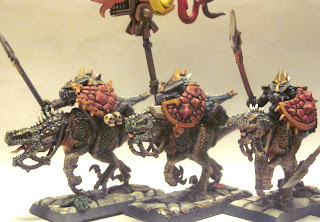 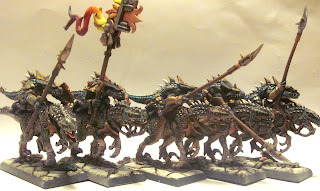 Finished up the first group of 5 Saurus Cavalry tonight -- 4 rank-and-file to join the unit standard bearer. 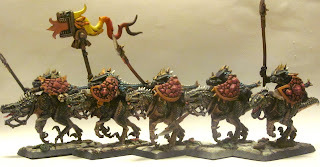 Here are a few quick pics. Next up are the BSB model, unit champion, musician, and a couple more regular riders.